Read this before you lose something. Not after. You haven’t experienced true hopelessness until you’ve watched a bus drive away with the bike your girlfriend’s dad gave you still in that rack on the front. Not that I would know. Most people manage to not forget their valuables on buses, but enough of us do that the Metro agents responsible for answering lost item calls have this uniquely gentle “mmhmm” they employ while you shriek about your missing wallet. They’re pleasant, and they’re courteous, and they’re helpful, and you can tell they’re trying to give you hope. The good news is, there is hope. The bad news is, there just isn’t very much. 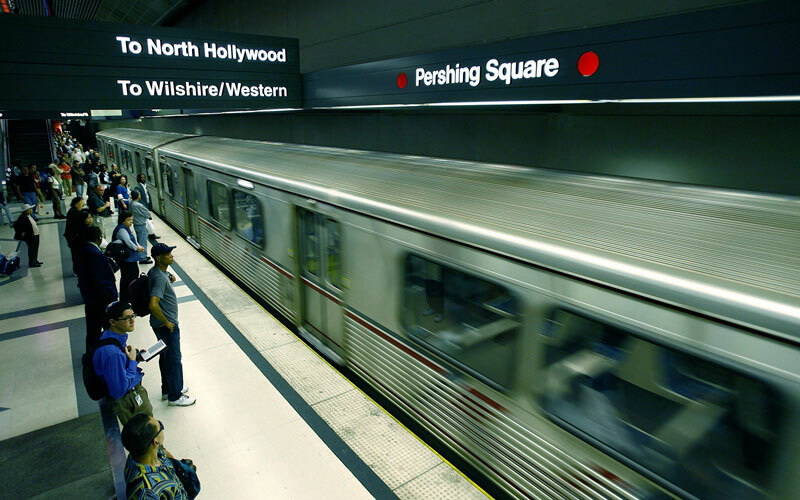 When you lose something on the Metro, the first thing you do is call the information line, (323) 466-3876. You’ll be surprised how quickly an actual person answers. Use the passive voice when you report the loss, not for any practical reason, but just because because saying “My purse got left on the bus” feels way less humiliating than “I left my purse on the bus,” and you can sort of indirectly blame The Universe instead of yourself. Free will is probably an illusion anyway, so you might as well take this opportunity to grammatically shrug off personal responsibility and accept the deterministic nature of existence. Now, anyone reading this preemptively, take note: The agent will ask you for the coach number of the bus or train car you rode (on buses, it’s printed below the driver’s side windshield). You probably won’t remember, of course, because you haven’t developed a habit of situational awareness. So instead, they’ll ask for the time and location you boarded, and the time and location you got off. They pass that information on to Bus Operations Control, where someone punches it into some sort of algorithm machine to triangulate the position of the bus you most likely rode. (I don’t actually know if there’s triangulation involved, or even what that means, but I think it’s a safe assumption.) They then send a message to that bus to ask if the forgotten item is still on board, and if it is, you can wait to meet the bus on its return route. Of course, there’s no guarantee they’ll actually locate the item, at which point your best bet is to go home, file a lost item report online, and maybe weep quietly in the shower for 25-30 minutes. Metro should let you know once the item turns up in their system, but to be safe, it’s best to wait three days, and then head over to their lost and found center at Heritage Square Station. There, someone will check the inventory and then politely inform you that your item has not been logged and was probably stolen, because apparently that happens pretty frequently—especially where mid-range road bikes are involved. Thieves, man. If you contemplate your loss long enough, maybe you’ll realize that, through some mystical paradox, life, meaningless as it can seem, is rich with purpose. Maybe the loss of the bike your girlfriend’s dad gave you is a reminder to hold material possessions loosely, to approach the givenness of the world with gratitude, regardless of your situation. Or, you know, maybe it’s just a reminder to not be an irresponsible dumbass.